The Simons Center iPSC Tech Hub is home to the generation, differentiation, and characterization of stem cell-based disease models, specifically related to autism spectrum disorders. The facility provides the resources to follow the steps from cell line generation to characterization at molecular, cellular, and physiological levels. It is comprised of state-of-the-art equipment that includes a stem cell tissue culture facility, an electrophysiology rig with fluorescent imaging capabilities, an epifluorescence microscope, and dedicated laboratory bench-top space and storage. Current and ongoing usage of the facility includes the generation and characterization of isogenic neuronal lines derived from Rett Syndrome patients, in addition to the physiological characterization of neuronal lines derived from Phelan McDermid patients. Such lines are developed using a variety of protocols to generate different neuronal cell lines and are further characterized via whole-cell patch clamping, multi-electrode array-based extracellular recording, immunocytochemistry, and gene/protein expression analyses. Using such a variety of techniques, we aim to gain a deeper understanding of the neuronal mechanisms–both functional and molecular–at hand, with respect to Rett Syndrome. The SCSB Mouse Behavior Tech Hub has two main goals: (1) to develop a facility in which investigators can examine autism-like behaviors in mice, (2) to develop cutting-edge technologies to facilitate better behavioral analysis of animal models for ASD. The facility is open to all SCSB investigators, and is also providing initial training for students and postdoctoral fellows who wish to use the facility. The SCSB Mouse Behavior Tech Hub is equipped with the main behavioral test setups needed to characterize multiple aspects of social behavior in general, and more specifically in the field of autism spectrum disorders. These including three chamber test for social interaction, elevated zero maze for anxiety, video analysis for repetitive behavior and an ultrasonic vocalization recording and analysis system, enabling the detection and analysis of social communication in mice. Additionally, The SCSB Mouse Behavior Tech Hub is also working on developing a new automated behavior analysis platform. Together, the behavioral tests and technologies in the SCSB Mouse Behavior Tech Hub provide a research platform for the screening and profiling of experimental mouse models for autism and neurodevelopmental disorders. Near-infrared spectroscopy (NIRS) is a technology that measures the absorption of near-infrared light by brain tissue. Near-infrared light is particularly well-absorbed by blood, in comparison to other biological tissues, so measuring changes in light absorption over time allows researchers to track changes in blood flow related to neural activity, much like functional magnetic resonance imaging. Though similar to fMRI, NIRS has some advantages, especially in the realm of developmental cognitive neuroscience where researchers would like to understand the functional properties of the infant brain. Participants in fMRI research must remain, isolated and motionless, inside the scanner while data is collected. In contrast, the NIRS systems like the one in our technology hub involve placing a cap with light emitters and detectors on the participant’s head. In the case of infants, this means that they can sit on their parents’ laps with some freedom of motion while they participate in our studies. Our NIRS hub consists of a TechEn CW6 system with optodes designed specifically for use with infants 2 to 12 months in age, as well as TechEn’s associated HOMER2 software for data analysis and anatomical registration. 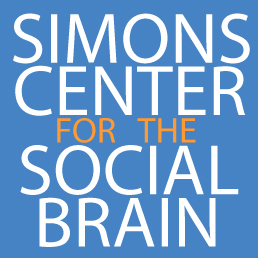 The goal of this technology hub is to allow the social neuroscientists affiliated with the Simons Center for the Social Brain to apply their substantial neuroimaging expertise to better understand the development of the neural systems that support social cognition and behavior. Initial studies at this new hub will focus on characterizing the typical development of brain regions that process and produce social behavior, with the hope that this basic understanding will provide a useful guide for future research on how typical social cognition can be disrupted.